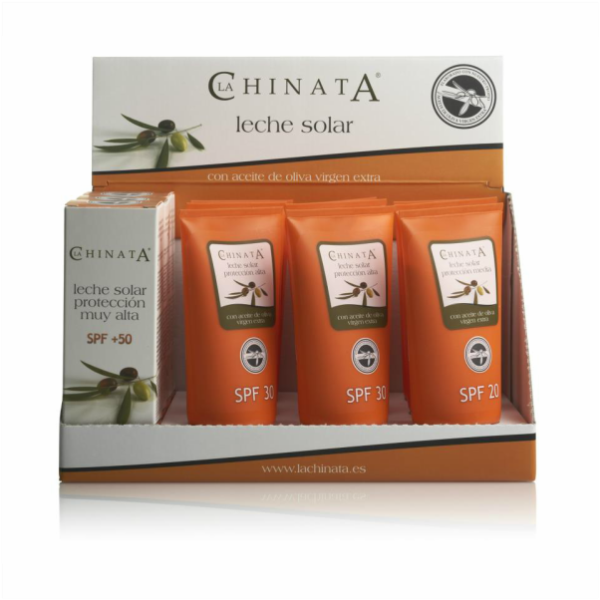 This sun cream, elaborated with Extra Virgin Olive Oil, moisturizes the skin and protects it against external factors. It preserves the integral structure of the dermis, allowing better regeneration and enhanced skin firmness. It doesn't leave a sticky sensation aftter applying. Face Cream SPF50 and Body Cream SPF20 also available. One of the most important cosmetic functions of olive oil is its great ability to protect the skin against UV light, preventing erythemas and reddening of the skin. Furthermore, extra virgin olive oil contains a lot of essential fatty acids, which help restore natural humidity levels of the skin. Displays with special prices also available. If interested, please contact us.